A big thank you to schools and bookstores that have opened up their venues for Icky, Yucky, Mucky! events over the last few months. 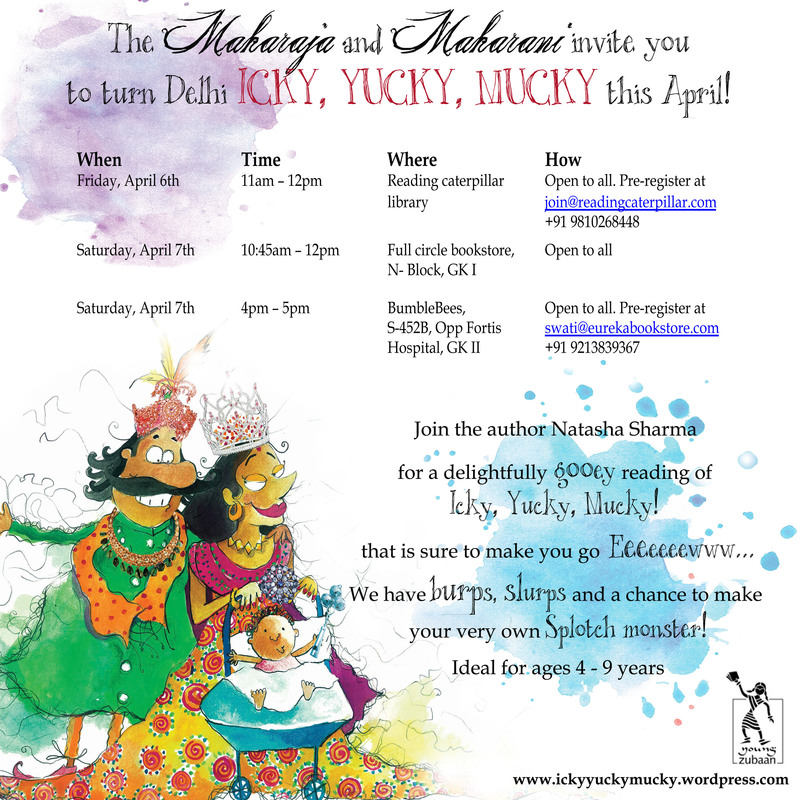 The most recent author appearance for a reading of Icky, Yucky, Mucky! at the lovely West Wind school in Mumbai had a delightful group of children go EEEW! With rain pounding the pavements, the setting was rather perfect for an Icky story reading! 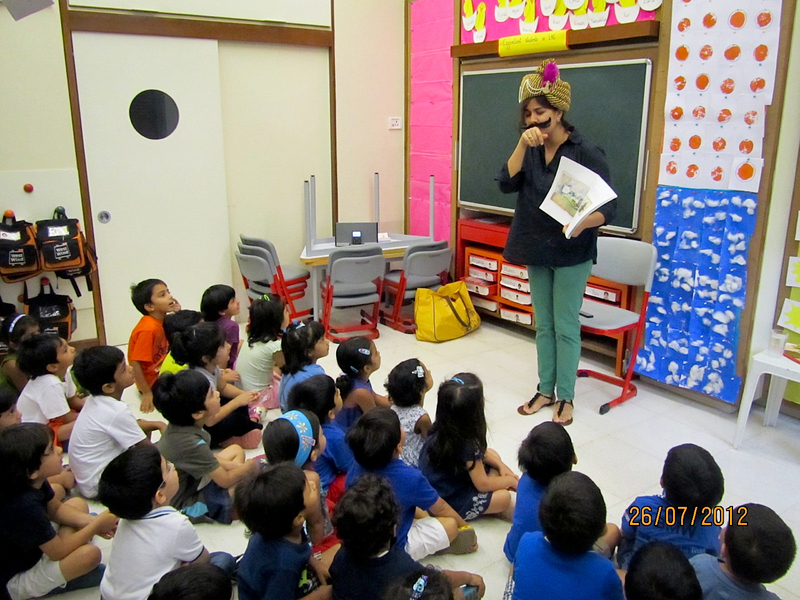 The American school in Mumbai was a similar delight with a wonderfully interactive reading. Every child had something to say, and most claimed to have an Icky, Yucky or Mucky person in his or her family and friends. The children also enjoyed quizzing the author on whether she remembered the text by heart since there were bits when she didn’t refer to the book during the reading. She luckily got the thumbs up after the children held the book in their hands and crosschecked whether the story was narrated verbatim! The reading ended with each child trying on the Maharaja’s turban. 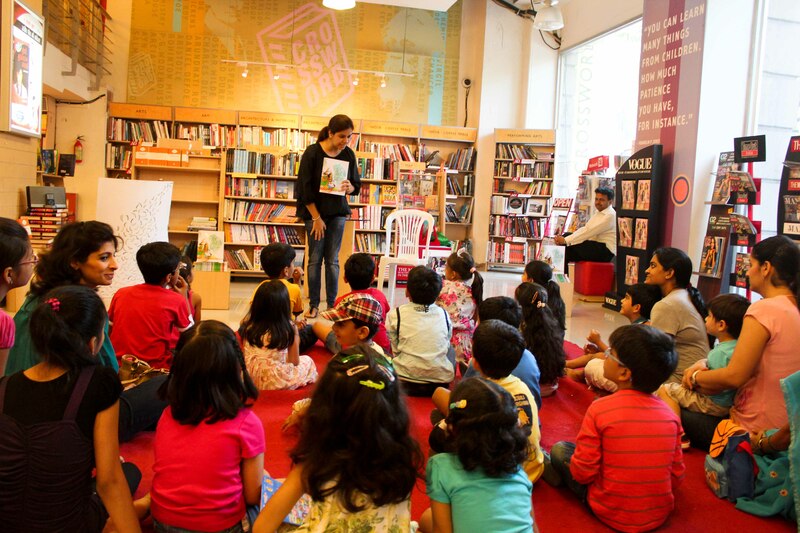 Treasure Books in Bandra, Mumbai was another great venue for a reading and a splotch monster activity. With a full house here, it was lovely to have parents and children join in the fun and then browse the bookshop. An Icky, Yucky, Mucky song! We promised you an ICKY, YUCKY, MUCKY SONG and here it is. The Icky Yucky Mucky trio (!) brings the house down with a marvellously messy musical moment. 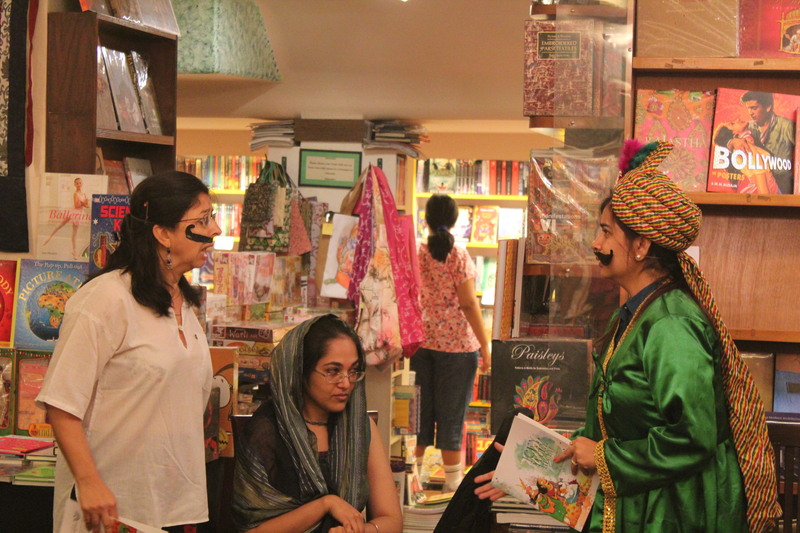 Natasha Sharma, Anitha Balachandran and Anita Roy (publisher on guitar) at Full Circle Bookstore and Cafe Turtle in Delhi last Saturday. If you are ICKY and you know it go burp burp. If you are MUCKY and you know it tik tik pthoo…. Have fun singing it out! Delhi turned a lovely shade of Icky, Yucky, Mucky this weekend! Thank you to everyone in Delhi who was a part of the ickiness this weekend! 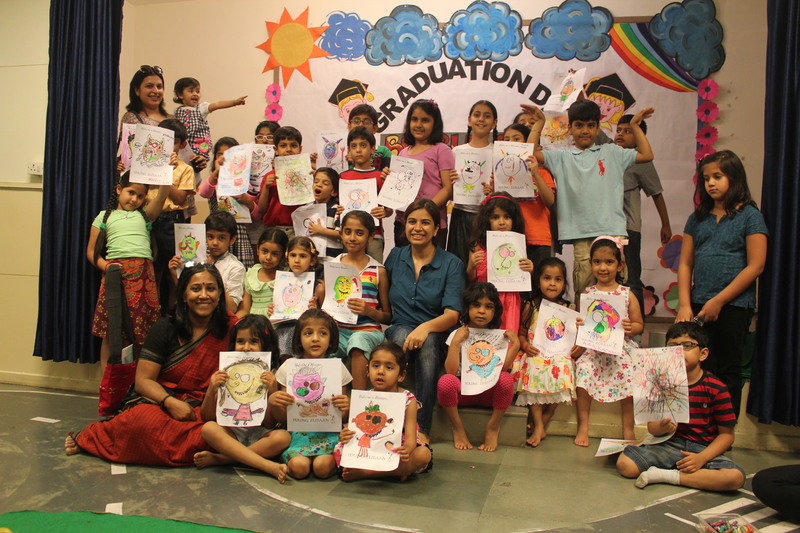 The lovely folks at Full Circle bookshop, BumbleBees centre with Eureka Books, The Reading Caterpillar library and Pathways School Aravali, thank you for hosting us! 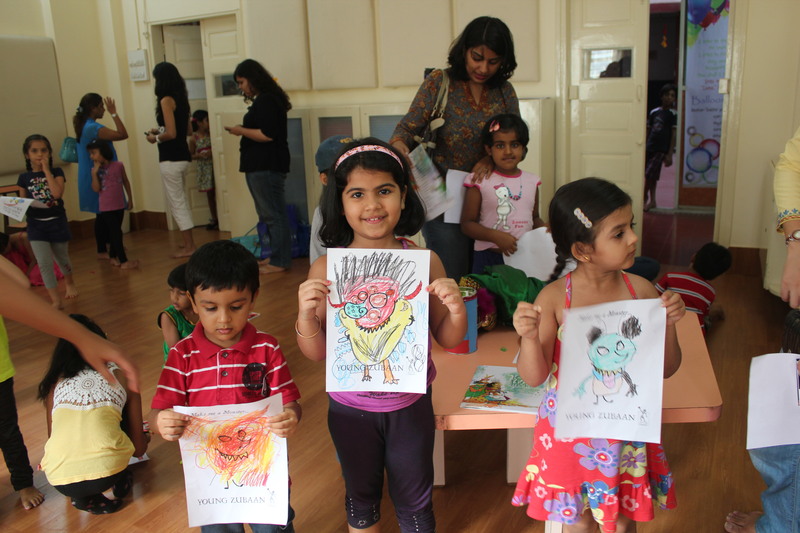 The many many children who made our weekend so very delightful with their laughter, yucks, eews and amazing artwork as they created their splotch monsters, we hope to see more artwork, mucky ideas and comments on our blog and by mailing us at ickyyuckymucky@gmail.com. And to parents who brought their children over for the readings, thank you and may you go YUCK! To visit a full gallery of pictures (and if you were there probably spot yourselves in them) visit the Icky Yucky Mucky facebook page! Hello mucky monkeys! Visit our facebook page and view photographs of the author visit and readings across Crossword bookstores in Mumbai all of March. SO much fun! Now it is time for Delhi to go YUCK this weekend. Click on our ‘Upcoming Events’ for date and time across venues. We promise you’ll go EEEEWWWW!!! A Saffron Tree Review. Thank you Mad Momma! We are positively drooling and excited enough to juggle a few rosogullas ourselves on reading the review of Icky, Yucky, Mucky on the Saffron Tree blog. For those of you unfamiliar with them, they are a wonderful group of people who post reviews on children’s books both Indian and international that catch their fancy. Here’s an excerpt from their review. …Author Natasha Sharma has her finger on the pulse of young readers and it is roll on the floor-and-laugh-out-loud and cringe-dramatically-at-each-page fun. In a world full of social messages and sermons, this is one for the kids’ side. It’s almost *gulp* anti-establishment. Yes, it is nice to find books that help you deal with bullies or the death of a pet but every once in a while they should be given a break in favour of out and out icky-ness. The reviewer has her own blog too, The Mad Momma and features our Delhi reading schedule. Do visit her blog to read some brilliant writing, have yourself in stitches even as you grin wildly and nod your head in agreement. A reminder for all ye in NCR, click on our schedule for details of author appearance with a dramatised reading in Delhi over April 6-7, 2012. Yoo hoo Delhi! Let’s turn Icky, Yucky, Mucky this April! Two of the readings – at the Reading Caterpillar library in Nizamuddin and at BumbleBees organised by Eureka Bookstore in GK II need pre registeration. There are limited seats and available on a first come basis. So email/call and book your child a slot!